My Kingdom for the Princess is rated 4.1 out of 5 by 41. Rated 5 out of 5 by gamergirl023 from loved it! I love this game I tried an hour of play and was like no I don't want to stop playing so I brought it and was not disappointed. it's different from any other game I have played. once you finish one level you will want to keep going. that's what I did. so addictive! Rated 5 out of 5 by wizzytrend from totally addicting, well recommended i really loved this game ive played all 3 versions will there be a kingdom for a princess no. 4? Rated 5 out of 5 by Bullionist from Fun and Addictive! This was my first "time management" game and I now love the whole genre. The plot is cute and very light: the premise is that you're a knight escorting the Princess safely across the lands by ordering workers to gather resources to construct buildings, build and clear roads, and overcome obstacles. You visit four continents: meadows and woods, swampland, deserts, and a northern land covered in snow. The graphics look great and the landscape of each continent has different special conditions or challenges that affect gameplay. If you finish a level before nightfall you get to build a new section of a big faery-tale castle for the Princess. 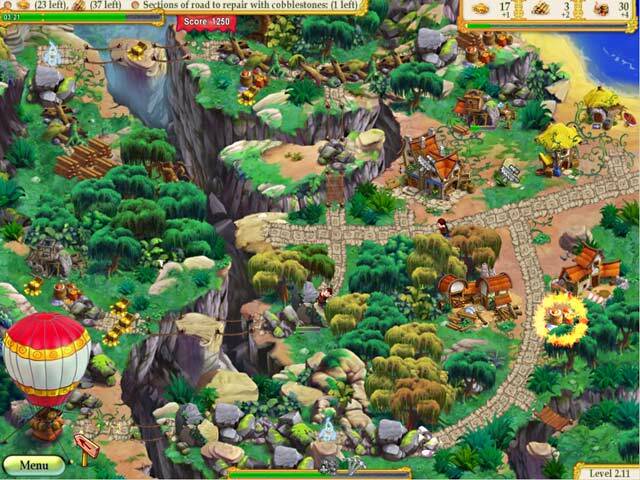 The gameplay is very fun and addictive. It is simple but fast-paced, and you have to think through your strategy through very carefully in order to finish before nightfall. (However, if you want to move on you also have the option to continue the story and can re-visit any level later on to try to finish on time.) I had to replay some of the harder levels quite a few times and choose a better strategy to succeed -- however I always found this challenge fun and stimulating rather than frustrating or tedious. I'm looking forward to playing both the sequels to this game as soon as I have time. 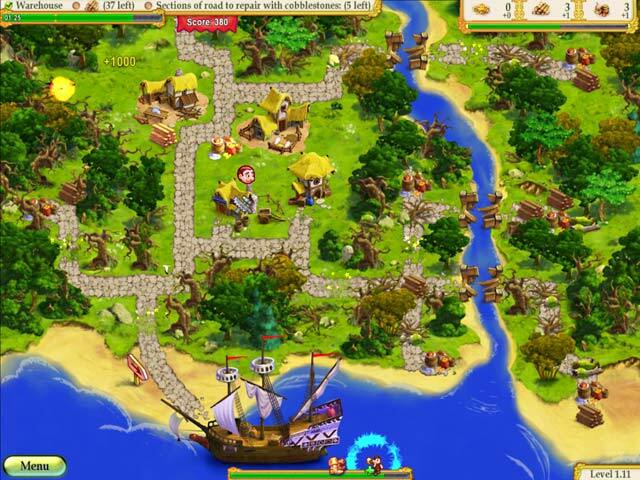 Rated 5 out of 5 by sothimk from A fun game This is a fun time management / strategy game. 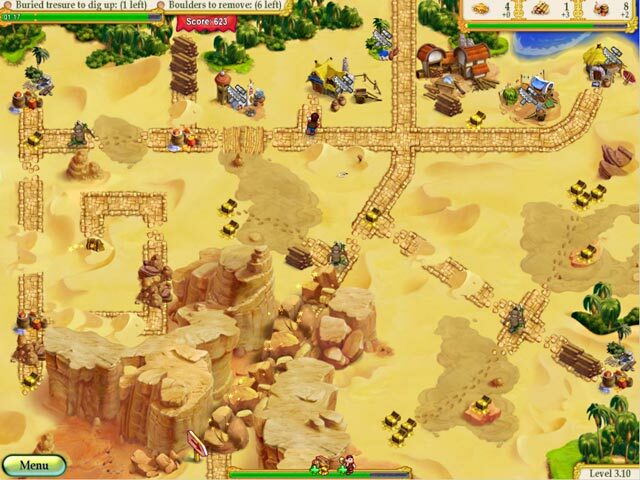 It is easy to pick up and can be played just for a quick diversion. Or you can work very hard to get a gold rating on every level. Your choice. For what it's worth, there was one level that had me stumped. It took about a week and dozens of tries, but when I got a gold medal for it, I felt like I had really accomplished something. When I recover, it's on to MKftP II. 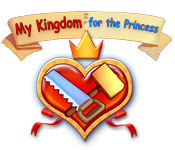 Rated 5 out of 5 by laydcharm from My Kingdom for the Princess I have lots of fun with these games. They're up on my fav's! Rated 5 out of 5 by pamsy10 from Lots of Fun, Lots of Times I love this game. I have replayed this mutiple times to see if I can get expert on each level. This one is a winner. Rated 5 out of 5 by MelissaZ28 from Love this game! It took a few levels for me to get into it (almost gave it up, so glad I didn't), but once I did I couldn't stop! I ended up buying all three because I knew I'd want to go on. Challenging, but not impossible to get expert on all levels - just have to replay some levels and use a distinct strategy.